Naomi gets transported to another world, and her only way back is by unicorn, except unicorns are not easy to find, and she just got forced into marrying a scary dude named Tavik. With the help of a witch, she hopes to find a unicorn to get home. Unicorn Bait has not been tagged yet. 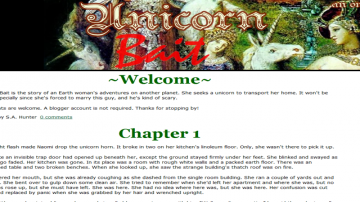 Help others find Unicorn Bait by tagging it! Unicorn Bait has not been reviewed yet. Unicorn Bait has not been recommended yet.